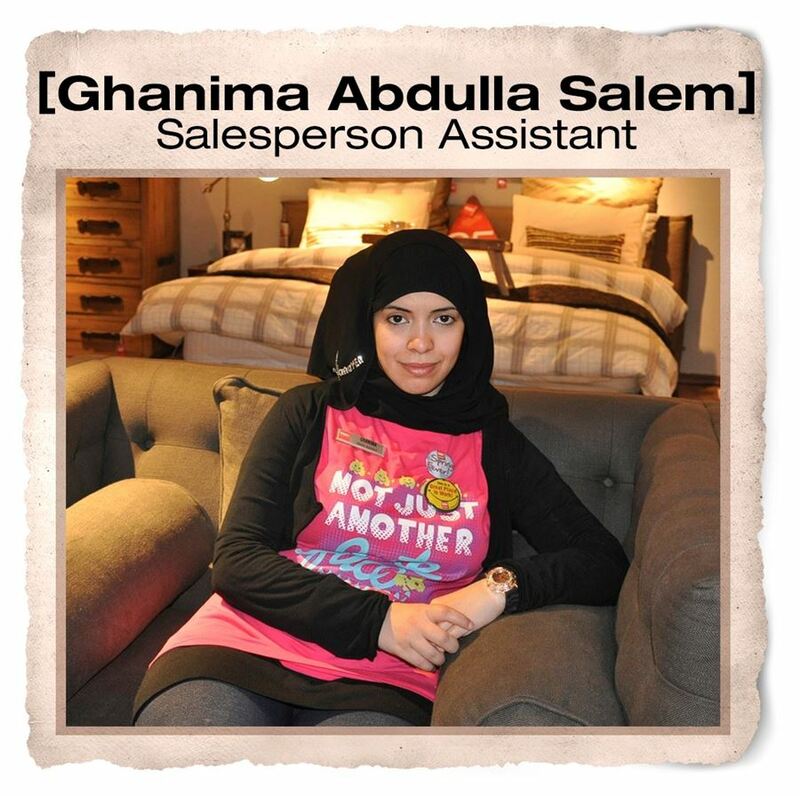 Iraqi national Ghanima Abdulla Salem was recommended to us by the principal of the Khalifa School. Ghanima was diagnosed with Autism at the age of two-and-a-half. She started working with us on May 1, 2006 and works four hours a day, five days a week in Administration where she helps in taking notes and filing, as well as at the cash till where she assists in packing purchases and maintaining the cash till area.